Acupuncture is a very old technique, imported from China, that is gaining more acceptance in the West, chiefly for its ability to provide pain relief for a variety of ailments. 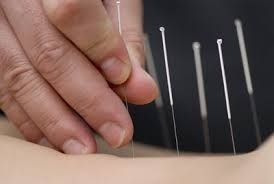 In a recent issue of JAMA (Journal of American Medical Association) Internal Medicine there is a summary of a study of 18,000 participants who received either real acupuncture, fake acupuncture (for the purpose of the study) or no acupuncture at all. Their findings were that acupuncture relieved pain in many cases. Acupuncture is the inserting of very thin needles (think the width of a thread or hair) into various parts of the body. The needles are small enough and the specialists are experienced enough that the insertions are typically virtually painless. Acupuncturists describe the placement of the needles as critical to correcting the flow of so-called “qi” or energy. American scientific research indicates that the needles seem to interact with either hormones, neurotransmitters or the immune system, or some combination of them. It is possible that acupuncture treatment may help to release pain-relieving endorphins. One of the benefits of acupuncture is that it is relatively cost-effective. Furthermore, unlike prescription and over-the-counter medications, there really are no adverse side effects of acupuncture. Therefore, the risk of trying acupuncture is quite low. What conditions can be helped by acupuncture? Acupuncture can be part of a comprehensive pain relief treatment that includes a thorough diagnosis by our physician, and can include medication, physical therapy and other pain relief methods. It is very important that acupuncture treatments only proceed after we have obtained a very clear idea of what is causing your pain.